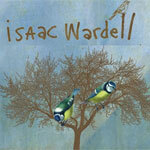 Isaac's music has always been heavily influenced by the Beatles, and other great rock music of the late 1960s. The new record showcases many of these sounds, with an anolog sound and heavy use of melatron and other vintage keyboards. Many of the songs on this record also reveal an alt-country bent, which has been a steady stream of Isaac's music for the last several years, stemming from his love for songwriters such as Townes Van Zandt, Jeff Tweedy, and Richard Buckner. Since its 2005 release on Kansas City's independent label The Record Machine, Cheyenne has promoted I Am Haunted, I Am Alive with performances throughout U.S., including dates with Starlight Mints, John Vanderslice, Sebadoh, Aqueduct, and Magnolia Electric Co. Having relocated from Oklahoma to Brooklyn, Cheyenne's live show has taken advantage of its new neighbors and continues to feature an ever-revolving cast of musicians, including members of Fruit Bats, Starlight Mints, and Sufjan Steven's Illinoisemakers. 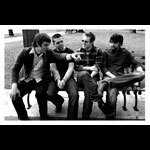 June 2007 saw the release of The Land Rush EP on Oklahoma based label Clerestory AV. 9:30 - Cross-Pollination set ft ISAAC WARDELL & CHEYENNE! !